Die Cut Divas is being sponsored by A2Z Scrapbooking and I have a Winter Thank You card for you. 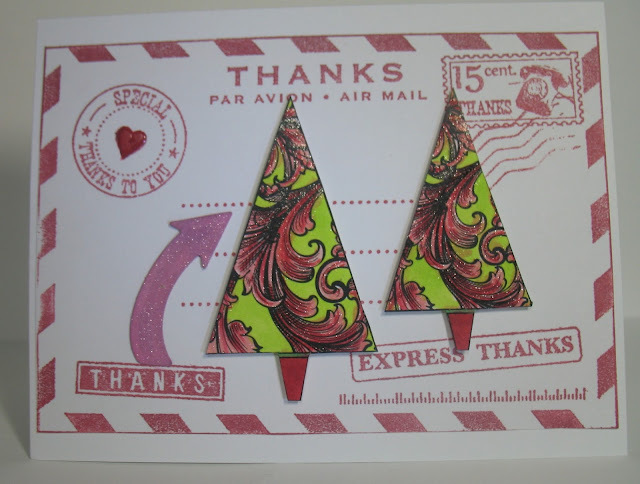 I had some post cards stamped up with an old Hero Arts envelope stamp and it was in a perfect color for making a Winter Thank You card. 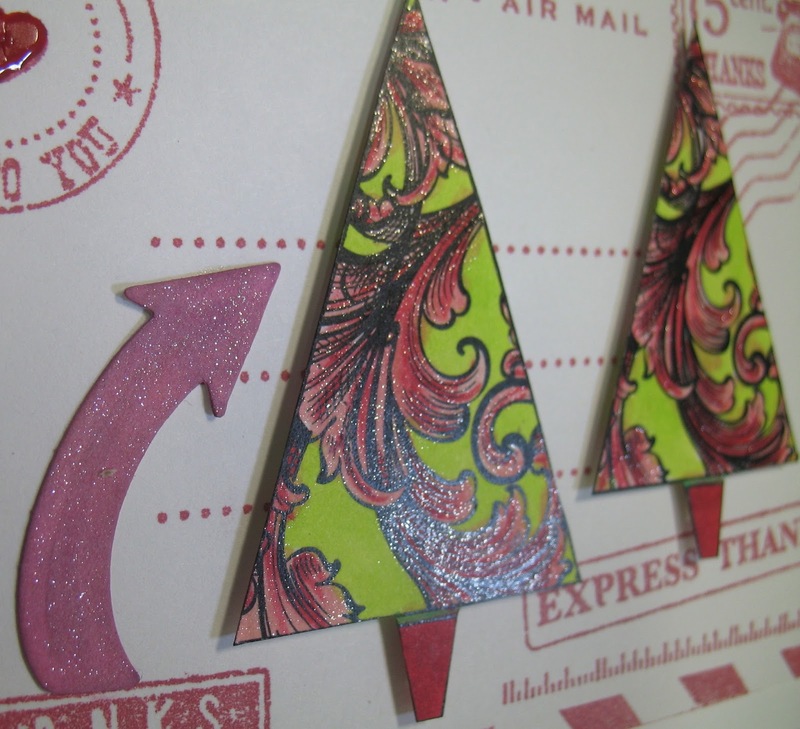 I adhered the postcard to a white card, added Nuvo Crystal Drops Red Berry to the heart, colored the trees with Copic markers, added Clear Wink of Stella and that die cut arrow to the card. You really are going to want to pick up that Nuvo Red Berry Crystal Drops at A2Z for Xmas cards. You can catch this post at A Bit of This and That. I love the red and bright green together-super eye catching!